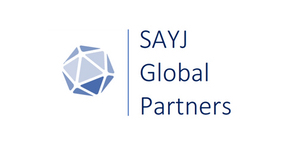 SAN FRANCISCO, CA.– SAYJ Global Partners, providing strategic guidance for companies scaling in the global arena, announced that ORLink, a Kentucky based surgical workflow platform for operating room professionals, has attracted $1 million in expansion funding from multiple investors for a unique, smart system to manage the entire surgical context for surgeons. ORLink, formed in 2016, was developed by surgeons and OR professionals. The technology will incorporate a variety of AI/sensor-based applications that ultimately will track every piece of equipment that enters and exits surgical theaters. With ORLink, the existing surgical instructions on file for every doctor with hospital privileges are put into the cloud and tracked. In addition to cost savings, there is less danger to patients and reduced liability for insurers.